Briar Rose is Heather Ross' first collection of quilting cottons for Windham Fabrics. You may have heard of Heather when she shot to super stardom at Free Spirit. She continues to have a tremendous following and her previous fabric collections are highly sought-after collectibles. 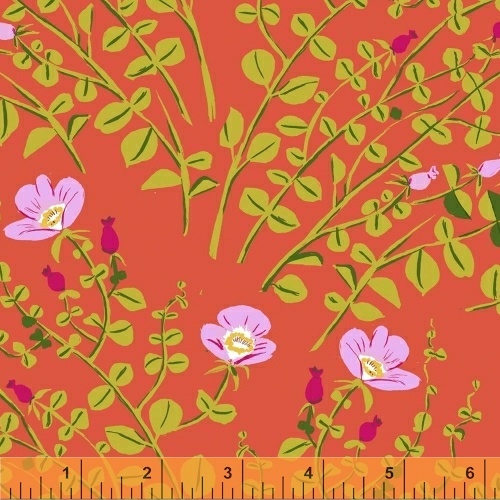 Briar Rose consists of 20 cotton prints and 4 cotton jersey prints. Perfect for children's' pajamas and dresses for little girls. Coordinates include a print with bees and roses, and a little story about a family of frogs swimming together on a summer afternoon. Delivery is July 2013. Be part of Heather's huge fan base by visiting marketing brochure to leave with your customers that help give great inspiration to Heather's newline.